One of the factors that have further enhanced democracy in developed countries in recent years is the launch of the e-government. The "Electronic Government" provides information and e-services to all citizens, legal entities and individuals, foreign citizens and stateless persons living in the territory of the Republic of Azerbaijan by using state-of-the-art information technologies. An e-government executive group has been established in Azerbaijan, Trend reported. The event was attended by representatives of various government agencies working in this area. Chairman of the State Agency for Public Services and Social Innovations under the President of Azerbaijan Ulvi Mehtiyev told reporters that the State Agency prepared an action plan for the transition to e-government and a new concept of e-government. The formation of e-government in our country is based on the international practice, and a legal framework for its activity was established by the Decree of the President of the Republic of Azerbaijan “On the approval of State Program (E-Azerbaijan) for the development of communication and information technologies in Azerbaijan Republic in 2010-2012”, and by the Decree on approval of “Some measures for provision of electronic services by government agencies” dated May 23, 2011. Azerbaijani President Ilham Aliyev signed a decree on March 14 on measures to develop e-government and transition to the digital government. According to the decree, the State Agency for Public Service and Social Innovations has been charged with the implementation and regulation of a state policy on e-government to improve the management system in this area, strengthen state control and improve the efficiency of the conducted work. The e-government portal is a key tool for supporting work with citizens and enterprises in the public and private sectors. It aims to reduce the number of documents requested from citizens, as different bodies will interact with each other electronically. Launched in 2013, the portal currently offers about 400 e-services through 45 government agencies. Over one million citizens are active users of e-services of the state agencies. Moreover, the e-government portal allows for the provision of e-services to citizens of foreign countries. Earlier, the Automated Payment Utility Service of the state payment portal was integrated into the e-government portal, which made online payment more convenient. In 2017, the e-government portal provided more than 23 million e-services. During this period, Ministry of Labor and Social Protection of Population is the institution that received most applications (9 341 135) through the "E-government" portal. In addition, more than 26,000 "Electronic Signatures" certificates have been put into operation in 2017. It has been more than 5 years that the electronic signature used in our country which is the confirming element of an electronic document, identifies the identity of the process participant in a virtual space, provides secure and flexible execution of electronic document exchange. 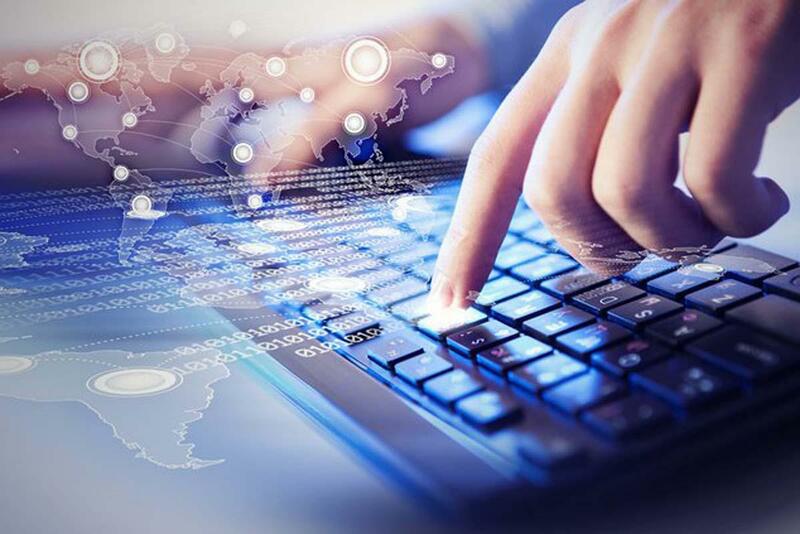 Recently, the State Property Committee has put into operation the first official address portal of Azerbaijan, aimed at simplify finding of address, to gather address information in the republic in a virtual center, to achieve electronic management of addresses. It should be noted that Azerbaijan took the 19th place among 28 countries in the world ranking of countries that may shift fully to digital technologies in government already in the coming future, compiled by Business Insider based on the Global Competitiveness Survey published by the World Economic Forum.